Thousands of "yellow vest" protesters returned to the streets of France to protest against President Emmanuel Macron's policies. Clashes erupted at Paris' Place de la Bastille with police firing tear gas and water cannon to push back protesters. 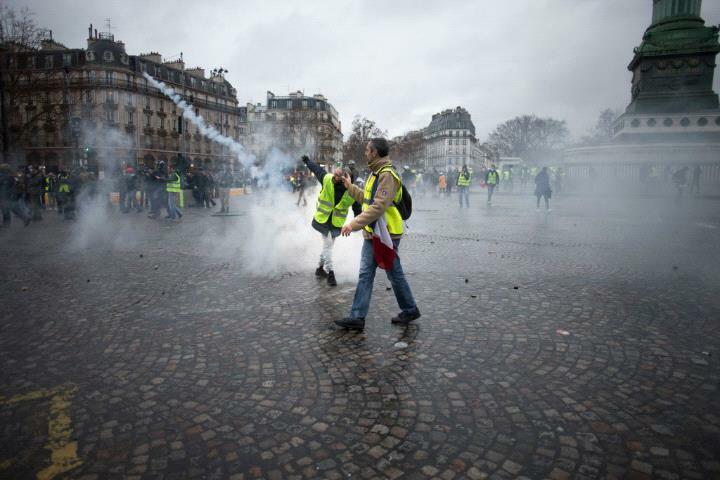 According to the interior ministry, the official count was 2,500 demonstrators in Paris against 7,000 the previous weekend. Macron had scrapped the fuel tax hike that initially sparked the protests, but the demonstrations have now grown into wider rallies calling for his resignation.